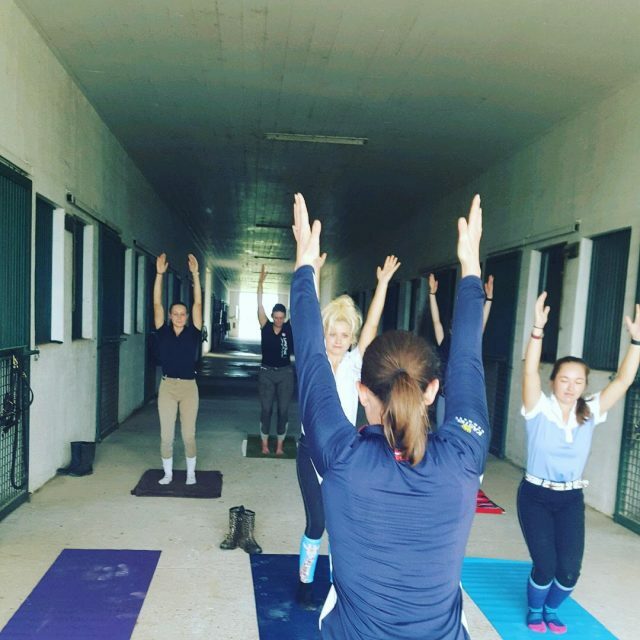 Laura Crump Anderson is an Equestrian Fitness Specialist at InForm Fitness Leesburg. She is certified as a personal trainer by the American College of Sports Medicine and specializes in working with riders of all ages and disciplines. She holds a Bachelor’s of Science in Kinesiology with a concentration in Exercise Science, is a Certified Personal Trainer with the American College of Sports Medicine, and has evented through Training level. Read more of her EN fitness columns here. Health and fitness are things to be worked on and maintained year-round. I have never been a fan of new year’s resolutions; to instill a healthy habit or quit a bad one does not require a day on the calendar to roll around. Picking a specific day like January 1st or a birthday has been shown to be less successful when it comes to upholding goals. My method is to choose a theme for the year, 2017 — a year of consuming less (no shopping), 2018 — the year of learning to say ‘no’ (learning create healthy boundaries), and I am currently thinking that 2019’s theme will be acknowledging the responsibility in all things good and bad my life. Photo courtesy of Laura Crump Anderson. The winter months can be an ideal time to put an emphasis on your body, by adding a yoga class or fitness routine. Assuming you are still riding regularly, take note of how the asymmetries in your body might mirror that of your horse. Also, make the time to think about what you are fueling your body with. Try to find the healthier, real food, items on the outside of grocery store, not in the center isles. IF you are looking for a bar, though, I highly recommend EquestriBar. They are made with premium ingredients, they taste good and will not crumble in your pocket, and are good enough size to not leave you hungry. I had a reality check this week when I got back on the scale after Thanksgiving. While visiting family last week, I did not ride, so I went to the gym almost every single day. Usually, I only workout 20 minutes once week. 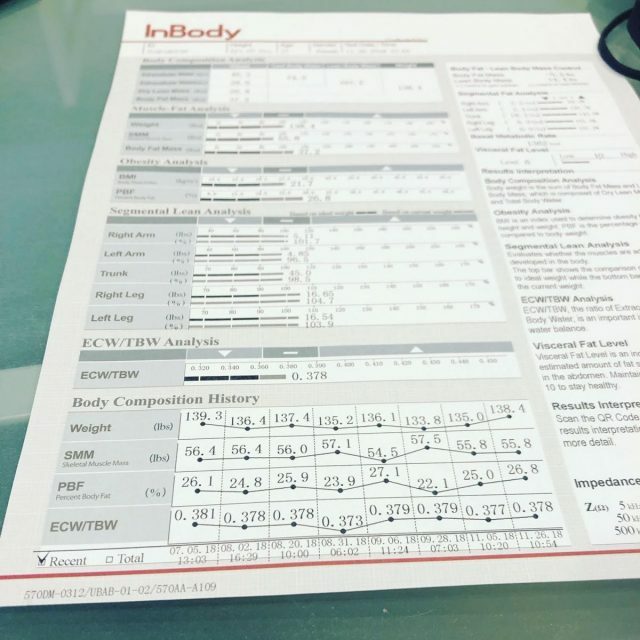 You can see the results Monday Morning below, while I was able to maintain my muscle mass, you can see from the InBody chart below that I actually gained 3.5 pounds of fat mass. This was do the excessive amount of eating on Thursday, I have been really getting back on track Friday, Saturday and Sunday. I am not saying to stare at your scale throughout the holiday season, because the way you feel on your horse is the most important indicator of health. However, I am advising you to be aware of you holiday eating habits. This is time where holiday snacking can become overwhelming and seems you are invited to a new festivity almost every day. It is very important to not let the cheat meal, become the cheat day, leads to the cheat week. This is how we find ourselves 10 lbs. behind the curve on January 1st . 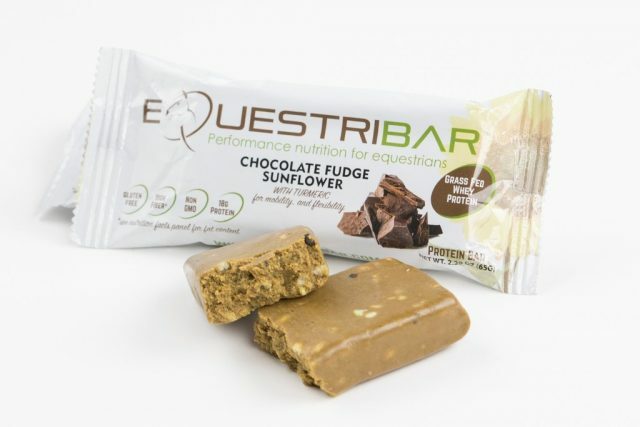 Fuel yourself through the winter months like the athlete you expect your horse to be. Here are a few of my favorite healthy recipes! Enjoy. This broccoli and spinach soup is warm and hearty. We spend so much time eating turkey and ham around the holidays, that a perfectly cooked beef roast really stands out and can be an excellent change of pace. Try this Garlic Rosemary Roast Beef with Horseradish Sauce by Lauren Grant. The prep work that goes into this one, Roasted Heirloom Squash with Sea Salt and Local Honey by Diabetic Living Magazine, is a little more extensive. However, this dish is well worth the time it takes. You can save time by looking for winter squash varieties in the precut isle of your grocery store. When it comes to squash, though, never buy frozen! Add a strip or two of chopped nitrate-free bacon and take it to the next level. Lima beans were surprisingly the first leftover that disappeared at my family Thanksgiving this year! This is a super easy and quick recipe to make year round, and it is packed with fiber and protein. Remember to go with the baby lima beans they taste way better, and frozen is totally acceptable! Here’s a delicious Baby Lima Beans recipe by Trisha Yearwood. Now onto the fun stuff. 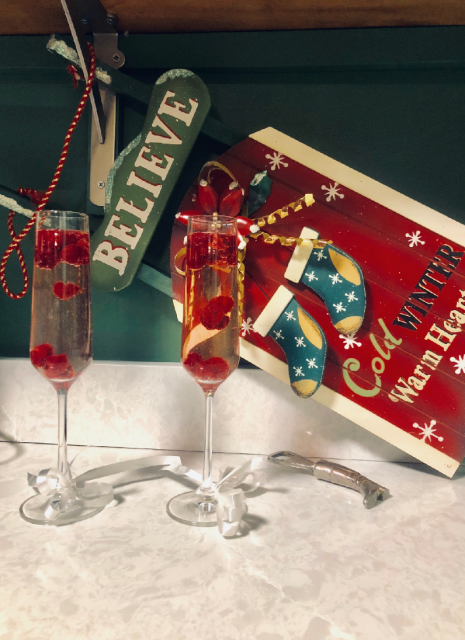 Making a lower calorie drink that is festive is easy. 1. Pick your favorite glass. 2. Pick your clear poison (vodka, clear tequila, gin, or skip this step). 3. Mix with the sparkling water of your choosing. 5. Snap a picture, and enjoy responsibly. Photo by Laura Crump Anderson.